Please review the help list below. How do I use Multi-County Search? What Does Additive Item or OBYI Item mean? How do I map my results? When do I use minutes? Minutes are used when you are logged in and actively searching in a county. Counties that have premier public search will not incur usage charges. There is logic to determine what search you are using, if it is sponsored or not, and in some cases, you may be logged out or not charged depending on if the data would be the same sponsored or logged in. The first minute of usage is always logged and from then on as you view parcels and search the website, we log your usage on each page load. If you go inactive at any time for more than five minutes the site will log you out and log only the time from the last detected activity. If you come back before five minutes and aren�t logged out, but then view a parcel you will be treated as having been active the whole time and those minutes will be consumed. If you do not want this to occur, please log out before going inactive, or log out before using the site after any period of inactivity to ensure you are not accidentally charged. 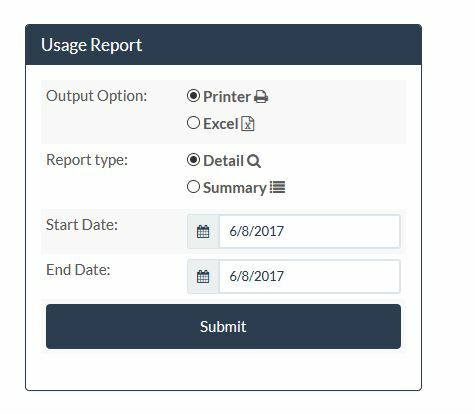 Account managers can go to the account section and click on Usage Report section to view usage based on a date range. Additionally, they can view each usage or a summary by user for a given date range. Goto your account and click on the add time to this account button on the right hand side of the page. Paying online requires an email address and a valid credit card (Visa, Mastercard, Discover and Diner's Club accepted). Is your question not listed? Please contact us.